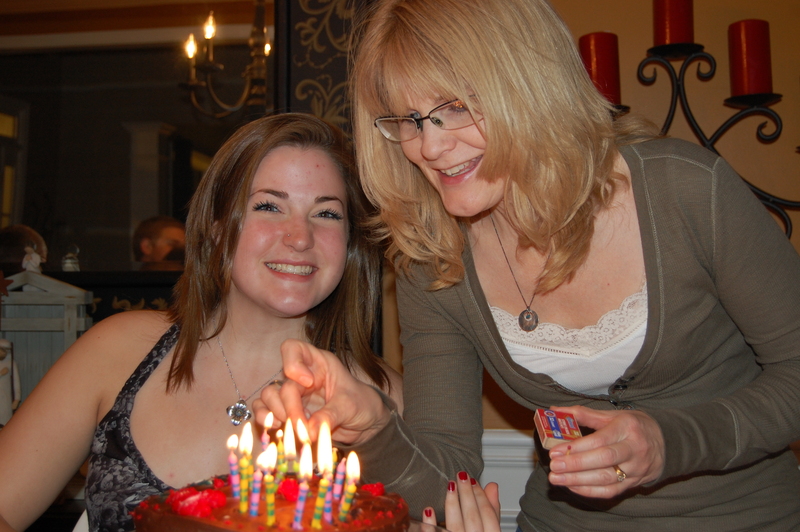 My now 19-year-old daughter, Haley, has recovered beautifully and has completed two years of college. She is also pursuing becoming an Au Pair in France for a year, and that makes me nervous. I worry about her safety and well-being: Will her French family take good care of her? I worry about her spiritually: Will she find a good church? I worry about the separation: Will she relapse into anxiety and depression? Should we really let her go? As a Christian mom, I take this laundry list of worries to my Heavenly Father. He lovingly points my heart to Ephesians 2:10. “For we are His workmanship, created in Christ Jesus for good works, which He has prepared in advance that we should walk in them.” His words silence the worries and speak the truth that Haley is His; she belongs to Him through her personal faith in Christ. But then I catch my breath as understanding sinks in to what He’s really saying; what He’s saying to me as her mother. This is a turning point in how I relate to her as my daughter. She is on the brink of adulthood. No longer is she obligated to the verse, “children obey your parents as unto the Lord.” As a believing young woman, she is now obligated to follow Christ wherever He takes her, to do the work He has created her for, and prepared for her to do. And I, as a believing mother, am obligated to let her go. My daughter’s life is no longer a part of our living out the gospel as a family. It is solely about the Kingdom of God and His work. Instead of leading her, I stand back and watch Haley take responsibility for this journey. I see her seeking God and Him guiding her in the choices she makes to prepare herself physically, emotionally and spiritually for France. And what I find interesting is even though some of her choices are not what I would choose, I see God’s leading and working in those choices. She has an excitement for God and has been challenged in her faith by others in a way that I have not been able to. God has been gracious to this mother’s heart in allowing me to be an observer of His work in my daughter’s life. There’s a silent awe as I see God spiritually and emotionally weaning her from me and see her trust Him to be her all. Thank you for taking the time to read my post, and for responding to it. I really appreciate it. Letting go of our children is difficult, but necessary. I’m glad you were there for your daughter and that all turned out well. I’m glad you enjoy reading Lon’s posts. Dearest Dawn, not only are you an amazing Mom, you are an amazing writer. Your ability to relate your innermost thoughts of a mother’s fears and worries about your daughter, Haley and her journey into becoming a more independent young woman are great…and the reality of such is riveting and oh, so profound. I am not a mother, but I am a daughter, and feel from that perspective I can relate somehow. It is most evident and undoubtably fact that you and Lon have raised your children well, through and with Christ always. Your family is a beautiful one, and if only there were more like yours, what a more wonderful World it would be. I want you to know, Mom, that Haley will do and be just fine, and that you, Dawn, will do and be just fine…In the Lord’s name we pray. She will need and want a relationship with Him (coming from my experience as a daughter and young woman at one time, albeit a long time ago, but nonetheless memorable), and therefore He will lead her…In the Lord’s name we pray. Amen. I will keep you and yours in my thoughts and prayers, and know that you are not alone, that you are never alone, and that others care. God Bless! Thank you for reading my post and commenting. Your taking the time to do both is meaningful and I appreciate it. Yes, whether one is a mother or a daughter, both feel the angst of the separation that comes from “cutting the apron strings”. And being a believer in Christ brings comfort to mother and daughter. Thank you for complimenting our family. Lon and I are eating the fruit that has grown resulting from all the difficult and painful pruning Christ has done in us and in our home over the years. We understand the harsh realities as well as the joys that come in living life. We also know what a difference it makes to have Christ in the center of it all. Thanks again, Dawn. If you so choose to continue reading our posts, my hope is that they will continue to point you to Jesus! I’m visiting from Holly’s blog. I read your list of books you want your children to read and I’m excited about ordering them for my three teenage girls. What a blessing to have found you. And then there’s this post…I completely understand the desire to hold on and try to make it right vs. the need to have our kids own their journey. Thank you for this. Your honesty and transparency are very encouraging. I have one daughter who went through a season of anxiety and counseling. God has been faithful and saw her through while showing me how to support her but I haven’t let my spiritual guard down. I will be sure to include your family in my prayers as I continue to cover my 17 yr old daughter in prayer as well. I look forward to following your posts! Thank you for taking the time to read our posts. We greatly appreciate your doing so. I’m glad you know and understand the power of Christ at work in your daughter when she experienced anxiety. God is good. Thank you for remembering our daughter/us in prayer. Have fun reading the books!! Right now our girls are going through some Louisa May Alcott books; Eight Cousins, Rose in Bloom, and An Old Fashioned Girl. They’re some of my favorites, too! If you would like to, feel free to subscribe to receive our posts by email.